Many employers fail to report workplace injuries. The reason is often very simple — These employers do not want to provide workers’ compensation benefits to their injured employees. Sometimes these non-reporting employers simply choose not to complete an accident report. 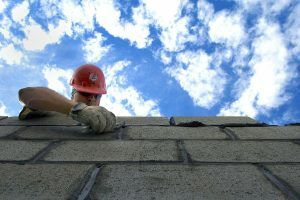 If the injury later turns serious, the lack of a written report can make the injured worker’s claim difficult to prove. I’ve faced these reporting disputes countless times over the years. Although you may have told your supervisor, he or she may conveniently “forget” the conversation in the absence of a written report. Sometimes these non-reporting employers use their plant first aid department to avoid accident reporting. How? For one Alabama poultry plant, the plant nurse typically labels complaints as some sort of arthritic / degenerative problem rather than a work-related injury. At a local manufacturing plant near Huntsville, the company first aid department often claims the problem is due to a lack of conditioning and does not report the condition as an accident. Since the facility primarily employs workers through a local temp agency, the company can easily let the worker go. I frequently deal with reporting / notice issues in my Alabama workers’ compensation cases. When it comes to Alabama workers’ compensation claims, I believe accidents are far under-reported. Let’s look outside of the reporting requirement of workers’ compensation. What about the Occupational Safety and Health Administration (OSHA)? OSHA does not record and document all workplace accidents and injuries. Employers are only required to report fatalities and certain very serious injuries to OSHA. Under OSHA, employers must report all work-related fatalities within 8 hours of an incident, and in-patient hospitalizations, amputations and losses of any eye, within 24 hours. Do employers properly report serious events to OSHA? No, they do not. I’ve handled a number of workplace fatality cases where the employer did not report the event to OSHA. I recently represented the family of a worker who collapsed and died after several days of heat stroke symptoms at a plant in northeast Alabama. The facility had no air conditioning and summer temperatures inside the plant often soared over 100 degrees. Despite several days of reports to the plant nurse prior to the death, the facility did not report the event to OSHA. Estimates show employers did NOT report 50 percent or more of severe workplace injuries. OSHA failed to consistently follow its policy of citing non-reporting employers. Accurate reporting is essential for future safety rulemaking. We must understand how and why workers are killed or severely injured in order to adapt safety rules for changing job environments. Full reporting is essential to stopping current, ongoing hazards. One death is too many. However, accurate information could be helpful in preventing additional accidents. Complete reporting is essential to police those few employers who disregard worker safety. Companies that recklessly disregard safety put workers at risk. If we allow those few reckless companies to continue their practices, they also gain an unfair economic advantage over competitors who spend the time and money to act properly. Workplace accidents often go unreported. When an accident causes long-term injury, reporting issues make it harder for the worker to obtain important Alabama workers’ compensation benefits. And, reporting issues prevent OSHA (and others) from establishing important safety rules to prevent later injuries or deaths. At the Blackwell Law Firm, we represent personal injury victims across Alabama. We believe in advocating for safer highways, safer workplaces and safer products. If you have legal questions concerning a personal injury issue, give us a call. We are happy to answer your questions.